Well I hope you guys like this as much as I do. I recently went to Santa Cruz for the weekend and we had the most amazing food as this little restaurant called the Picnic Basket- including an oatmeal that was seriously one of the highlights of the trip for me. I wanted to try and replicate it a little bit and here is the best version I came up with. 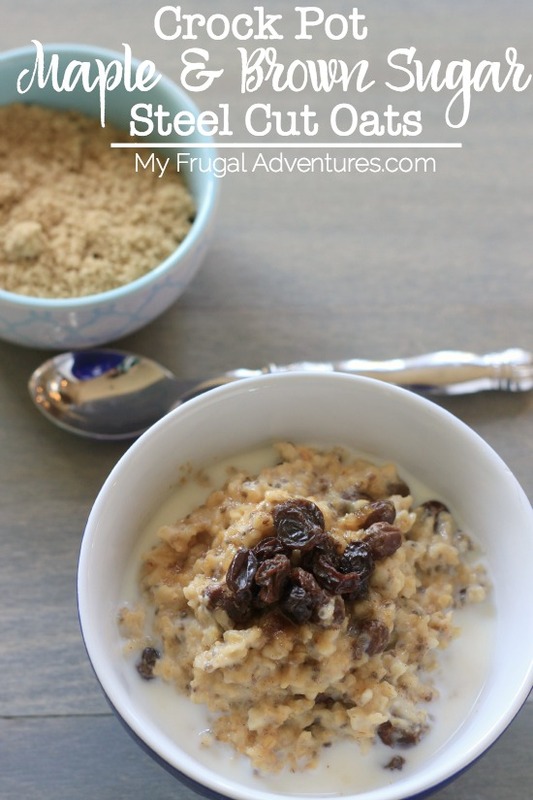 There is something so incredibly comforting about a delicious oatmeal to me and this one has a lot of flavor. 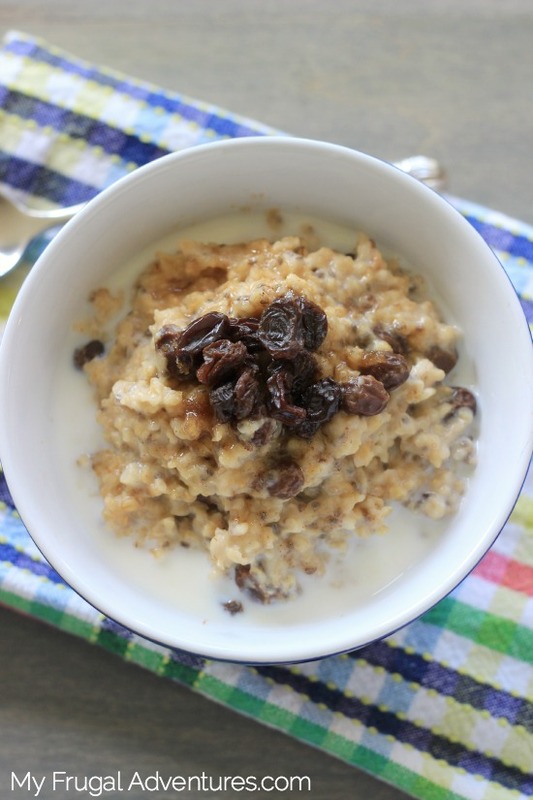 The trick with overnight crock pot oatmeal is that it is never really overnight for me. You can supposedly cook this on low for 7 hours or so but for me it turns out burned when I let it go that long. Also crock pots can vary quite a bit so I use a little cheap one to make this and I have found about 5 hours on low or about 90 minutes on high is best. I have a fancy big crock pot and that one takes about 3 hours on high. If you have a programmable crock pot that might work. I just started mine when I was cleaning dinner dishes around 7pm and it was done by about 8:45 or so. I let it cool and scooped into little containers and put it in the fridge. You want to be careful that it doesn’t burn onto the sides. This was an hour and 45 minutes on high for me. It should stay delicious for a few days- just heat and serve! I pop this into Mason jars and it is so easy to heat and grab on the go. You can switch out the flavoring options to whatever you like. Almonds and dried cherries or blueberries would be a good option, cinnamon and chopped apples, banana and brown sugar… I am going to play with pumpkin puree next so really anything that sounds good to you would work! I would probably reduce the brown sugar just a little if you substitute other ingredients. Spray your crock pot with cooking spray. Add all ingredients to a crock pot and cook on low for 5-6 hours or high for about 2-3 hours. I like to top mine with a tiny bit of cream once it is heated up and it is super delicious. Chopped pecans would also add a great flavor if you feel indulgent. And I have tested this with my children and they love it! My 5 year old in particular asks for this about every morning so it is really easy to make ahead and then a delicious, hearty breakfast is on the table in literally minutes. 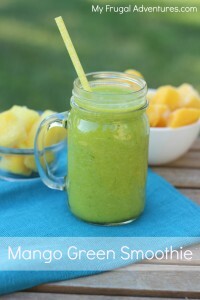 My absolute favorite green smoothie- so delicious! When I tried overnight, I got burnt oatmeal, too. One trick I read online and used that worked is: Put the ingredients in pyrex loaf pan, and put that in a water bath in the crockpot. That definitely produces nice oatmeal and no burns, easy to clean up. Still waiting to see one more tab on your website : Recipes 😉 LOVE the recipes you post. I made the cobbler, but used some pears that were about to go bad. Oh my gosh, beyond yummy! Cooking in those little dishes also helps with portion control. It was perfect. LOL- I made a button! It says recipes in a blue box on the side bar :D. I am so glad the cobbler turned out well! Tried this today. Didn’t have maple syrup so I used agave nectar instead. Still turned out great! Even my 1-yr-old loved it! Delish! Took about 3 hrs with my crock pot on high. Thank you! Oh I am so glad C! I make my steel coat oatmeal in a large rice cooker every Sunday afternoon. I add cinnamon and raisins to the mix before I turn it all on and when it is done I divide it among five containers, add a teaspoon of peanut butter and some milk and store it in the freezer. I can grab a container of oatmeal on the way out of the house every morning and warm it up in the microwave when I get to work. Karen- so smart :). That is faster then even a packet in the microwave and much better for you. Glad you made the stop in Santa Cruz. It’s my hometown. I am going to give this recipie a try. Oh so glad you liked it Maritza!! Awesome it was done so fast too! I’m wondering if you can do this is mason jars in the crock pot/water bath- and measure out individual serving sizes into each jar? I don’t know if it would cook properly that way but I am ALL ABOUT minimizing the clean up! 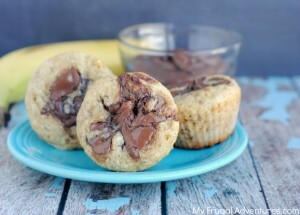 LOVE the peanut butter idea also- for added protein. Quick and super healthy/CHEAP breakfast!!! Hmm… I don’t know either Meryl. I guess you could give it a shot and see what happens. My guess is the cooking time would be significantly reduced. I’m trying this tonight. Hopefully 1.5 hours on high will work and then I won’t have to scramble to feed three hungry toddlers in the AM! I left out the raisins and sliced up one banana and instead of butter, I used coconut oil. 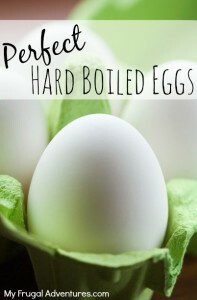 I tried this recipe today and it turned out perfect! I cooked to two hours on high in my crock pot. Thanks for the recipe. Thrilled to hear that Paige! Hi! Where do you buy your steel cut oats? Julia- you can get them at any major grocery store, mass market retailer like Target or Walmart or specialty grocer like Whole Foods. Sometimes the bulk bins can save a little money.